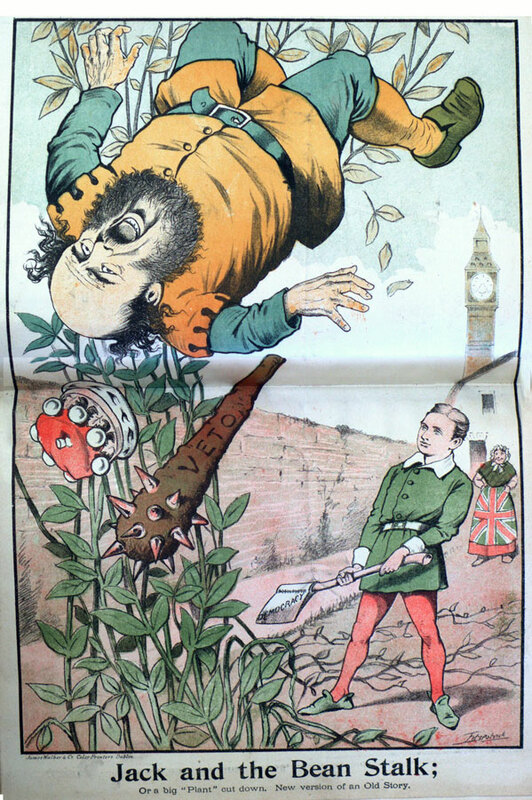 After the chancellor of the exchequer, David Lloyd George's 'People's budget' was rejected by the House of Lords, the Liberal Party resolved to remove the House of Lords power to veto legislation. The Parliament Act reduced the power of the House of Lords. It could no longer veto bills but could only delay them for a period of up to two years. The Parliament Act was another event which marked the slow shift in power from the aristocracy to the 'people'. The unelected peers in the House of Lords could no longer block the bills proposed by elected representatives in the House of Commons. 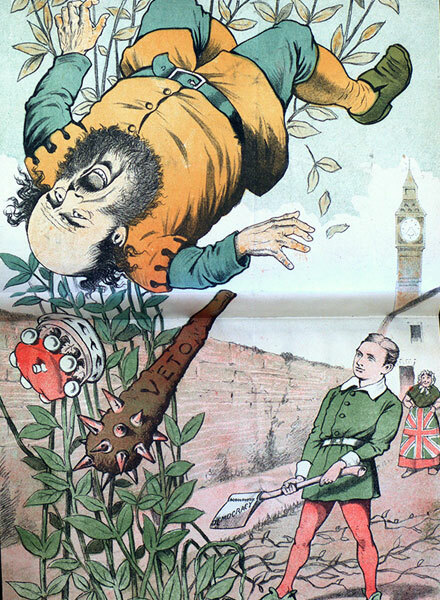 Jack and the Beanstalk; Jack uses the axe of democracy to defeat the House of Lords giant.